You now have access to two new features, within Marketplace, that help manage supplier risks. The new Index page and improved Supplier Pages provide additional transparency of supplier status and performance. Your full supplier ecosystem, available today in a browsable, intuitive report. Supplier Index, our latest supplier insights offering, helps you get the big picture of your suppliers, total spend and active risk. Tip! Contact us to import spend from your ERP / financial system. Dedicated pages for every supplier with whom you are delivering projects. Use to get full overview of all projects, active spend and performance. Designed to help automate your own account management and manage compliance documents. Tip! 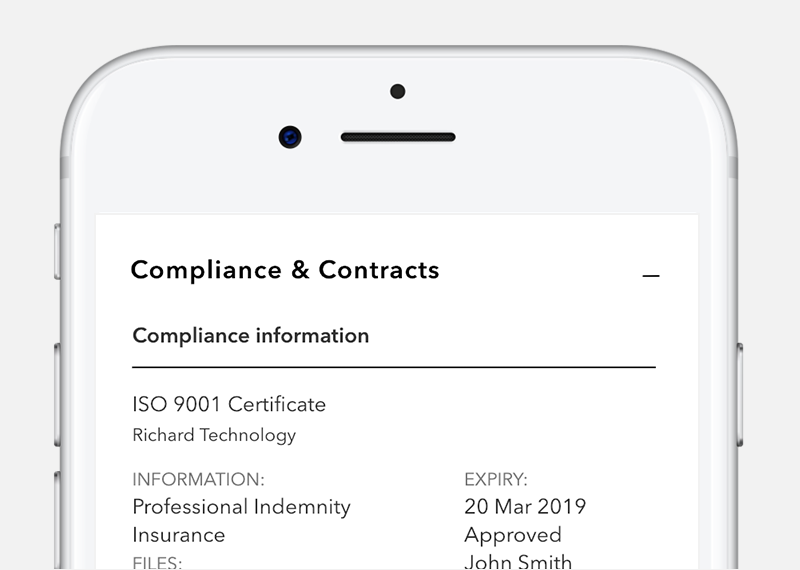 Make full use of ‘Compliance’, available on every supplier page, to request, manage and approve policy and compliance documents. Explore and organise your ecosystem of active suppliers into frameworks and lists. Marketplace forms the home of Supplier Management on IAND. Every client company organisation on IAND has access to their own Marketplace. Find the link in the top navigation of your platform. Note: your Marketplace is fully private to your client organisation only. Use Supplier Pages to get the full picture of projects, spend and compliance with each individual supplier. As suppliers have access to their own profiles, you can also find additional information on products, services, experience and more. Full overview of project spend. See all active projects on IAND, with links through to projects. Full overview of performance. View your supplier’s latest performance ranking. Deeper understanding of supplier offering. Suppliers manage their profile, and can include details on products, services, experiences and key points of contact. Manage legal & compliance documents through our dedicated Compliance module. Request, approve and manage compliance documents such NDAs, insurance, policy, partnering and supplier documents and agreements. Compliance. Start by ensuring the correct staff have access to the IAND platform. Following that, start requesting your compliance documents through IAND today. You will be able to approve or reject each submission that your supplier makes. Access our brand new report, Supplier Index, and view your full list of suppliers, based on suppliers live on IAND but also imported CSV data from your ERP / financial system. Integration with Companies House for company information, including status and risk. Monitor spend by supplier. Import your financial data via a CSV, for 12 month spend and average payment days information. Intuitive report. Search, browse and filter suppliers. Order by spend and more. Quick access to liquidation information. View suppliers reported in a range of risk statuses. Provide IAND with a CSV file of your full supplier list including spend, and we will add these to your report. As a supplier organisation, you have access to your own Company Profile. Find the link in the top navigation of your platform. 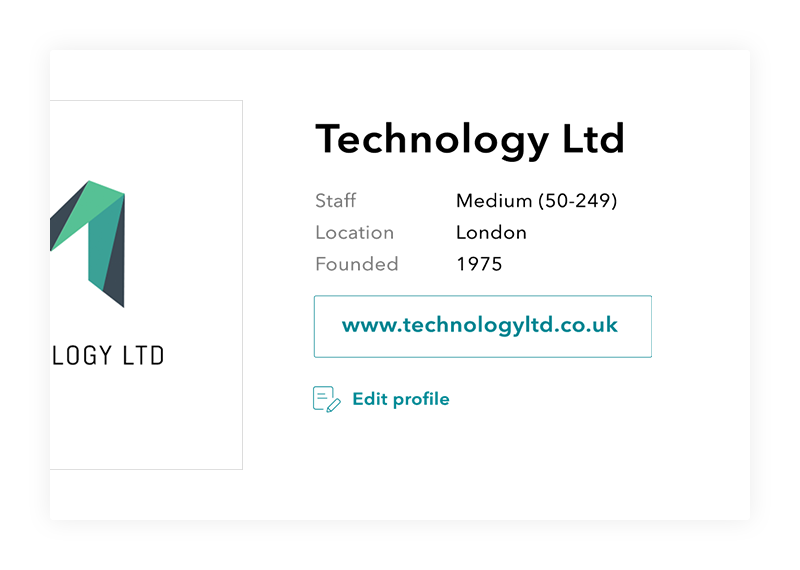 Make sure to make full use of the Showcase features on your profile page, to ensure your company is seen in the best light by your client. We’ve put together a dedicated guide to show how quick and easy it is to update your profile. As always, please get in touch if you have any questions, or would like to find out more. We believe supplier insights brings most value when connected to project and real spend. That's why supplier insights on IAND is not a stand-alone product, it's uniquely tied to projects. This sets us apart from any other SRM system on the market. Thank you for signing up, please check your inbox to confirm subscription.